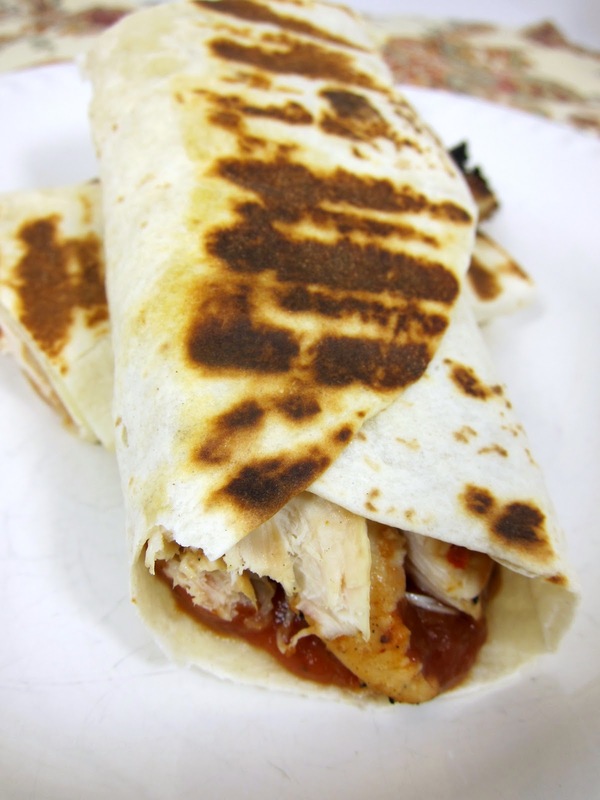 Wraps are one of my favorite weeknight meals. They are easy to make and taste delicious. 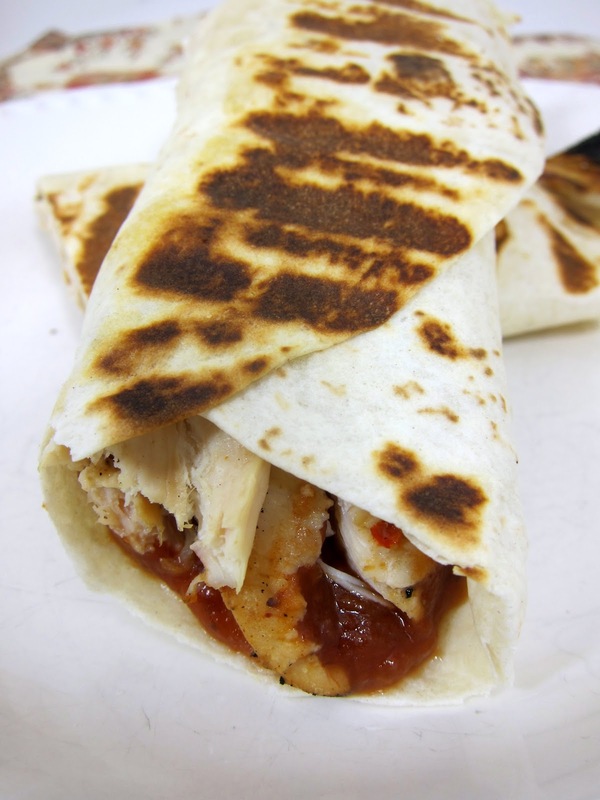 For this wrap we grilled up some chicken tenders that had been marinated in Italain dressing. You can use precooked Italian chicken strips if you don't want to grill the chicken. Either way will be delicious. Next time I am going to add some pepperoni to the wrap and make it like the new Chicken Pizziola sandwich at Subway. I had the Chicken Pizziola last weekend for lunch and loved it! Marinate 1 lb of chicken tenders in 3/4 cup Italain dressing for at least one hour (the longer the better). Grill or sautee in a skillet until done. Set aside or refrigerate if making wraps later in the week. Lay the tortilla on a flat surface. Layer ingredients on tortilla starting with 1 slice cheese, pizza sauce, chopped chicken and ending with parmesan cheese. Roll up the sides of the tortilla and place in grill pan. Top tortilla with grill press and grill until golden brown. Turn over and brown the other side. Repeat with remaining tortillas. We've started eating more wraps too. I totally make these, except I go the unhealthy route and use chicken fingers from the grocery store. Then it has more of an "authentic" chicken parm flavor. As authentic as anything can be stuffed in a tortilla. Any idea what the nutritional values are? Want to figure out the points for Weight Watchers. sounds like a great use for grilled chicken, Steph. I have a huge pack of thighs and a lot of wraps on hand, I'll have to try it. We had these for dinner tonight and LOVED them - so yummy. Thank you so much for the great recipe!! Thanks for sharing this recipe...we really liked it!